Its Christmas time again and for the past nine years The Dancing Lights of Christmas has been dazzling kids of all ages. 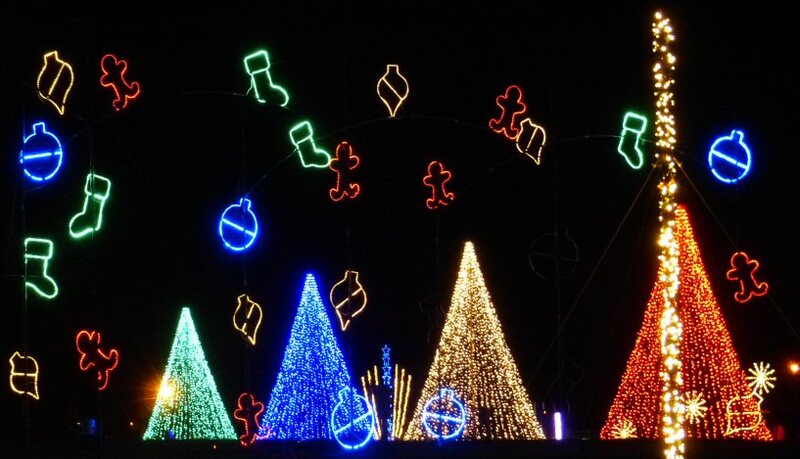 In the past the celebration took place in Nashville but for a second year in a row The Lights are at the James E Ward Agricultural Center located at 945 E Baddour Pkwy, Lebanon, Tennessee (please use entrance across from Dollar General). The spot is a quick stop off of Interstate 40. This drive through display is one of the largest featuring over one and a half million lights that are synchronized to music. Folks will see angels, Christmas trees and so much more as they follow the lighted path through an array of attractions. In addition to a convenient location The Dancing Lights of Christmas is home to Santa’s Village. For a fee children can enjoy inflatables, pony rides, rock wall climbing, spider jumping, train rides and there is a free petting zoo. Fun foods such as fresh caramel apples, funnel cake, kettle corn, smores (make your own), sweets and a variety of fried favorites are also available. Plus, the man in red will be there too. The Dancing Lights of Christmas is an enchanting event for the whole family rain or shine. Costs are $25 per vehicle (non commercial), $25 per church van/bus and $50 for commercial vehicles. So take a trip to Lebanon to celebrate and be dazzled by The Dancing Lights of Christmas running through December 31, 2018!